In every Indian wedding, Mehendi plays an integral part. It is considered to be a bringer of prosperity and happiness for the family (especially for the bride-to-be). 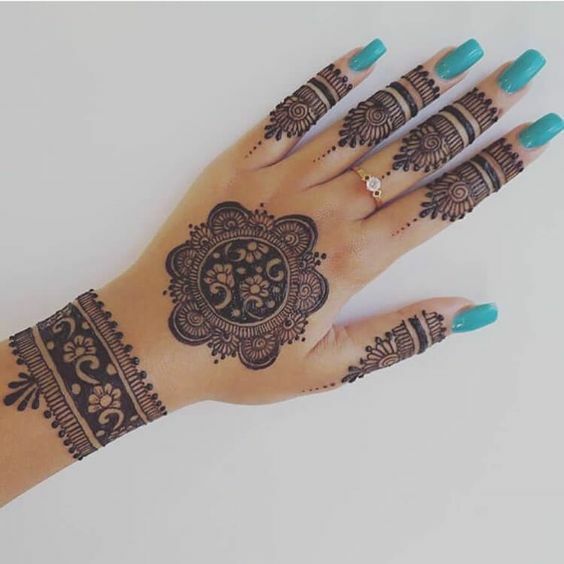 These days, Mehendi functions are not just limited to 20-40 close relatives, rather they have become a mega event in which a lot of games are played, mehndi artists are called to paint beautiful mehandi designs on the hands of ladies. These functions easily have a gathering of 150-200 guests. But still, many of us do not know the actual meaning of Mehandi. 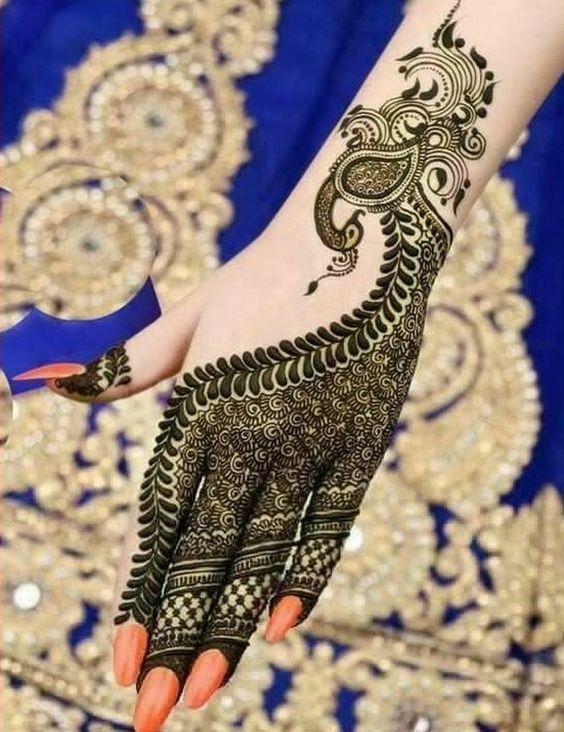 And no, we are not talking about ‘the importance of mehndi function’, but we are talking about the meaning of those beautiful patterns which are painted on hand, palm, leg or sometimes upper arm as well. 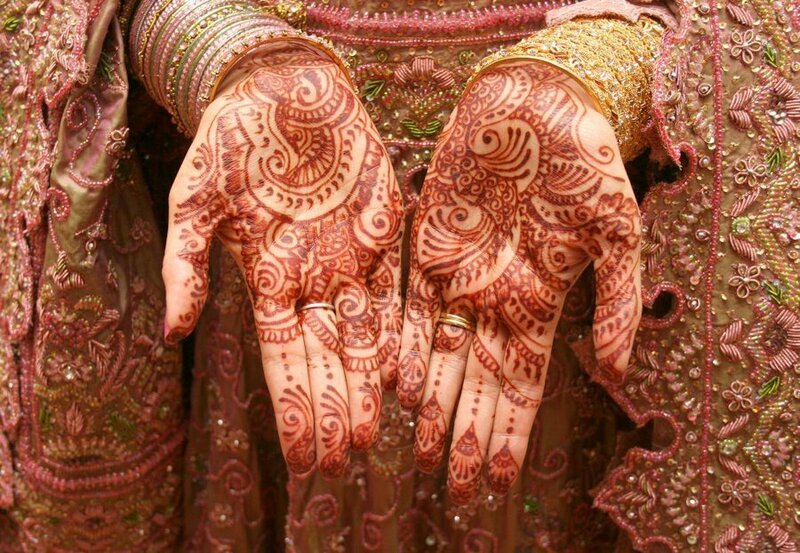 Today we will tell you about different types of mehndi design and their traditional meanings. Birds: With its beauty and petite frame, bird symbolizes the feminine nature of mehndi and free spirit of an independent woman perfectly. So next time, make sure your mehndi artist include little birds in the mehndi design. Triangle: Mughal style lace patterns are often painted on hands and legs in the shape of a triangle. You will be surprised to know that a triangle which points up, represent masculinity and a downward pointing triangle represent feminity. Therefore brides often paint one hand with an up-pointing triangle which represents her groom and other with a down-pointing triangle which represents herself. 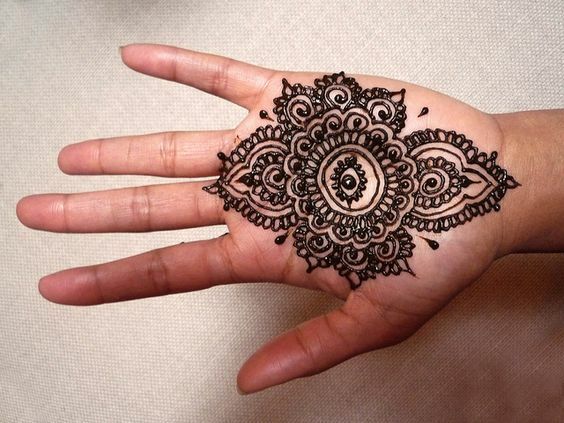 Eye: To ward off ‘Evil Eye’ and save the bride from any harm, a design of an eye is often painted on one of her hand. The eye is said to bring health, wealth and provide spiritual protection to the wearer. Square: A square mehndi design is said to protect the person from any kind of black magic. Also, it is often said that in ancient times, this design was used to heal the sick person. Mandala: Mandala is in the shape of a circle and this in itself means something which is complete or whole. And it is known to provide a balanced life which is fulfilled or complete. Due to its circular design, it is often confused with that of the sun. Sun: In Indian mythology, the sun holds the status of a god. The Surya or Agni Dev (god) is considered to be a bringer of light in one’s life and filling it with happiness. Peacock: This is one of the most common and favorite design of every Indian girl. This bird symbolizes beauty and immortality. And why not, a look at this bird in real life, leave the viewer spell-bound. Therefore imagine how pleasing it will look when painted on hand. Leaf: This design symbolizes happiness and prosperity. Hence it comes as no surprise that a bride’s Mehendi is filled with lots of leaf designs. 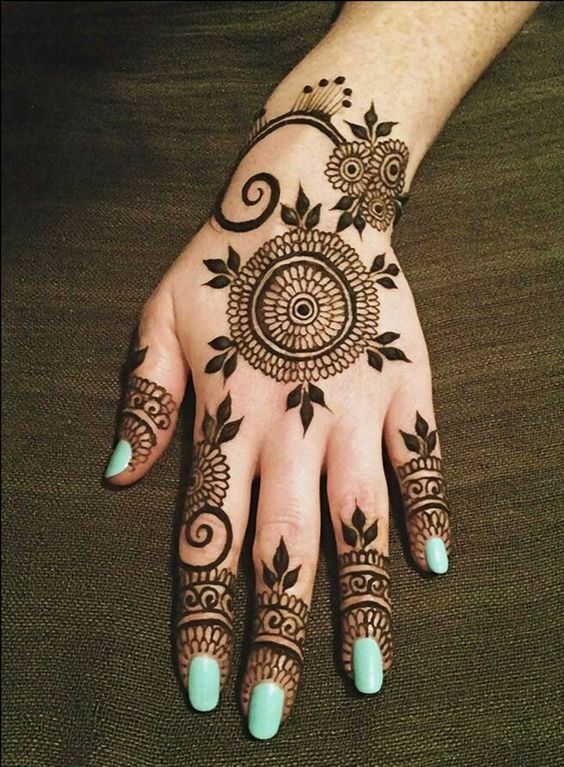 These were some very famous mehndi patterns which are often adorned by Indian women on numerous occasions. 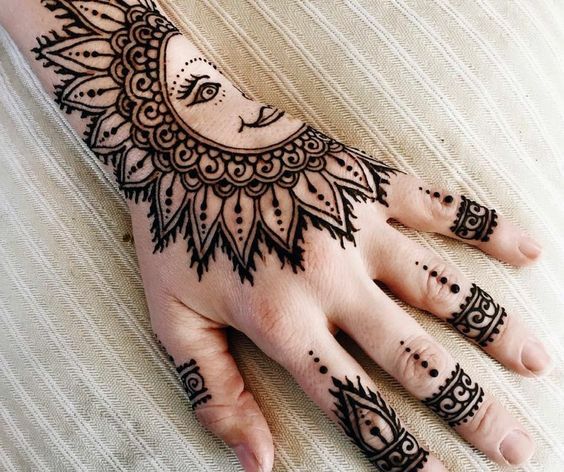 Now you must be super excited to try these designs on your own hand. But, if you are going to use mehendi cones available in the market, we’ll recommend avoiding them at any cost. They are not considered to be skin friendly as dyes are often mixed to give a strong color. Take 100 grams of natural henna powder. If you do not have any, it is readily available at every supermarket. Put the powder in a large mixing bowl. To this bowl, add a little bit of water and mix well. You have to make a paste which is a little thick (almost like whipped cream). Do not add too much of water at the beginning otherwise, the paste will become runny in consistency. Also, make sure no lumps are left. After this add 3-4 tbsp of essential oils of your choice. There are many options available in the market like eucalyptus, tea-tree, lavender oil etc. These oils are added to enhance the natural stain of mehndi design. Take a clean, transparent plastic bag and make this into a cone. Pour the mehndi/ henna paste to this bag till it is filled 3/4th. And tape the upper-side in a neat manner. Your homemade, all natural mehndi cone is ready to be used. 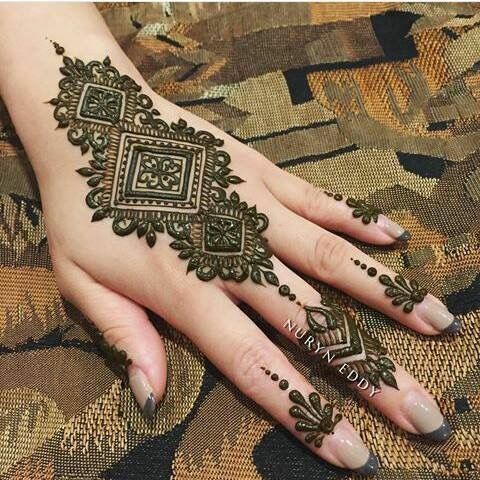 Simply cut a little tip of the cone and start creating beautiful mehndi designs shared above. 6 creative ways to bring a family closer?